The Home Experts For You Real Estate Team at Keller Williams has a home listed for sale at 139 West 2nd Avenue in Conshohocken. There is an open house at the home on Sunday, March 31st from 1:00 p.m. to 3:00 p.m.
Wow! If you~re looking for a move-in-ready, single family home in popular Conshohocken, this is the home for you! 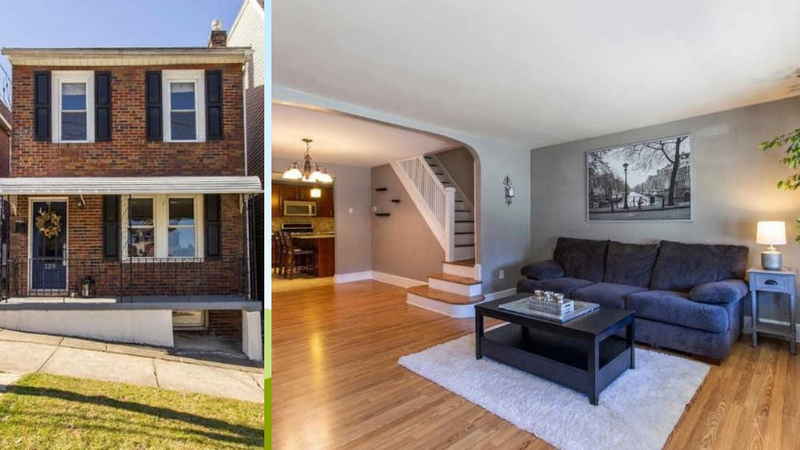 This gorgeous 3 bedroom, 2 bath single is nestled in the heart of Conshohocken just a block away from Fayette Street~s restaurants, shops and nightlife. Parking isn~t going to be an issue with the 2 car detached garage and off-street parking located at the rear of the home. From the moment you approach, you~ll fall in love with the charm of the brick fa~ade and covered patio. Step inside to the spacious living room complete with gleaming hardwood flooring, white trim and neutral grey walls. The hardwood flooring continues into the formal dining area with two windows that allow natural light to stream in. The huge eat-in kitchen is an absolute dream! A large center island provides additional prep space, storage and seating. Loads of cabinetry for all your storage needs, granite countertops, custom backsplash and recessed lighting throughout. Stainless steel appliances include refrigerator, built-in microwave, dishwasher and gas range. Who doesn~t love a first floor mud/laundry room?! No more muddy shoes in the house! This bright and sunny room includes a side-by-side hook-up for washer and dryer, and provides views overlooking the backyard. A utility sink and cabinetry was added for convenience. The first floor full bath is just steps away and features a walk-in shower with tile surround. The backyard area is ideal for entertaining family and friends. The covered cement patio provides much needed shade on hot days if needed, and also includes a big space for a grill, fire pit or patio table and chairs. A brick walk-way leads back to the detached garage (hello she-shed!) and a stone retaining wall was added to showcase your favorite blooms this summer. For those with furry family members, you~ll appreciate the fully fenced-in backyard and open grassy space. The main bedroom finishes include two separate closets, a ceiling fan, crown molding and hardwood flooring with views overlooking the front of the home. One spare bedroom comes complete with hardwood flooring and the other has plush carpeting and a ceiling fan. The full bathroom comes complete with a shower/tub combo with tile surround, updated vanity and recessed lighting. The unfinished basement contains plenty of storage space with two separate rooms and walk-up stairs to the backyard. Gives us a call today if you~re looking for a move-in ready home in Conshohocken! The listing price is $365,000. For more information or to schedule a tour contact (267) 277-2405 or Info@HomeExpertsForYou.com.